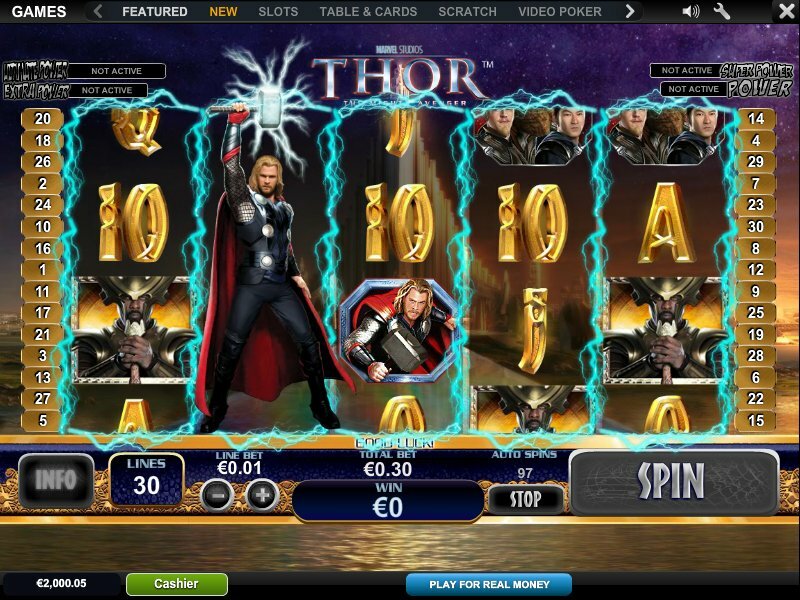 The Nordic God Thor is no push-over. As God of thunder and all that (Not to mention having a bit of a temper) he can pretty much get anyone to do whatever he wants. At the same time, his arrogance is only really irritating, or at least, that’s what his father thinks. I don’t blame the guy. Being a God who’s only ever known your own greatness can tend to make you a little cocky I would imagine. 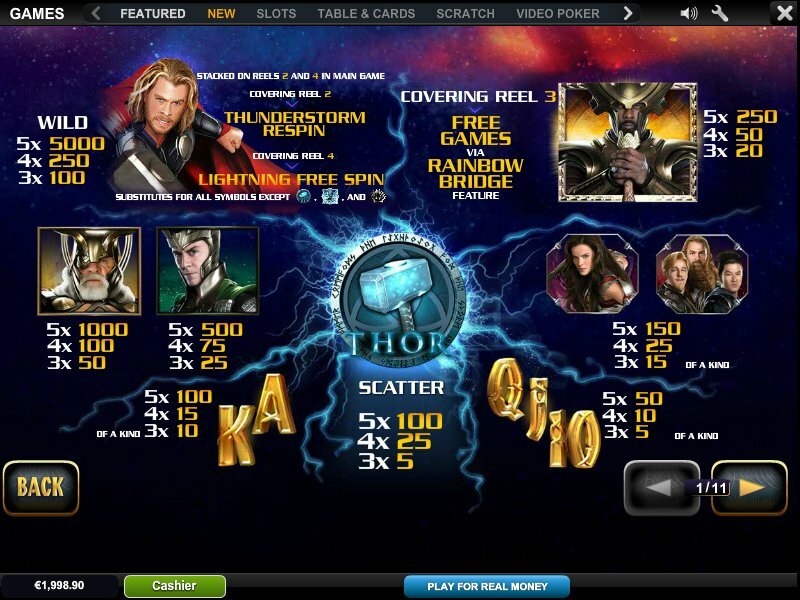 In Playtech’s new Thor slot machine ‘Thor the Mighty Avenger’, the lightning God is banished from Asgard, his heavenly magical planet, all the way to earth as punishment for his severe arrogance. Luckily, he arrives just in time to defend the human race from the maniacal intentions of his step brother Loki. 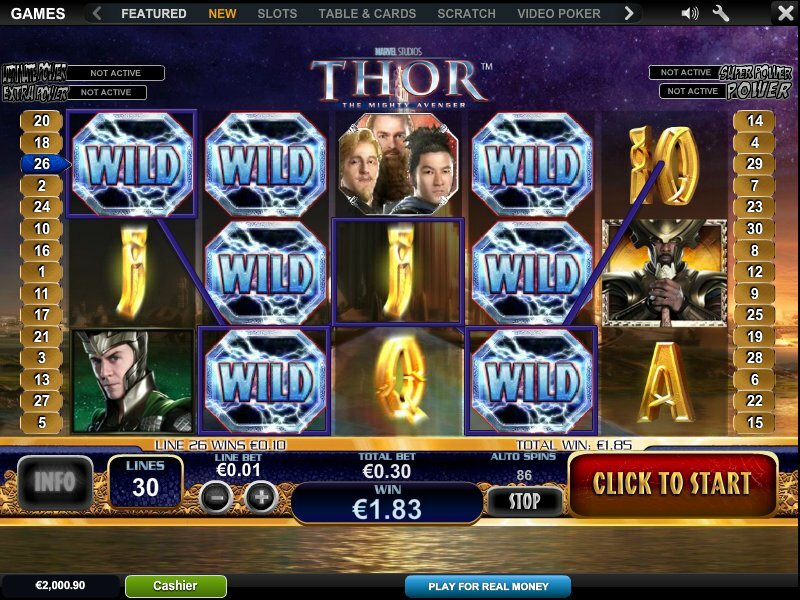 This slot machine takes place in Thor’s home of Asgard with his gleaming gold palace in the background. Symbols include his father, King of Asgard, his evil Stepbrother Loki, a group of friends who also harness the power of the Gods, Thor’s Thunder Hammer, and of course, Thor himself. Each feature and different placement of an important symbol triggers different behavior meaning that you never feel like you’ve already seen in all. Visually, Thor the Mighty Avenger is not so mighty. While the game is interesting and runs smoothly, its design is old, with defined squares around each symbol and very little movement or animation. Audio effects and music are also of basic quality and don’t successfully harness the full potential of using a film as a slot machine theme.